Original Vintage Sanderson Linen Fabric, zipped double sided cushion cover, in a striking pallet of greens. The very nature of this vintage fabric makes these cushions limited edition we currently have 3 in stock and available immediately. Additional items will require a 14 day turn around from date of order to dispatch. please contact us should you wish to order larger numbers. 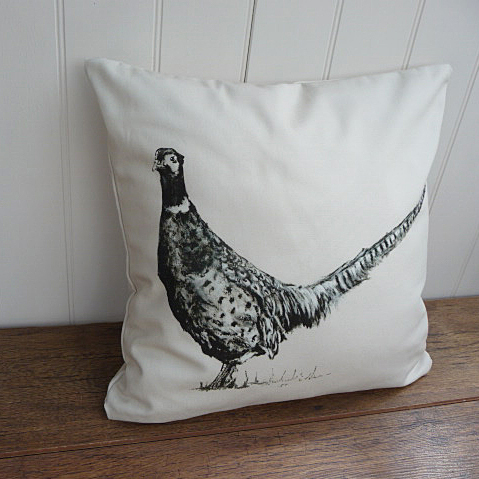 All our cushion covers are made here in Pembrokeshire. We aim to keep everything as local as possible and where possible support other small businesses.